Ian is Assistant Professor of Geography and Urban Planning in the School of Social Sciences at Nanyang Technological University, Singapore, where he holds cross-appointments in the School of Art, Design, and Media, and the S. Rajaratnam School of International Studies. He is also a Fellow of the World Economic Forum and serves on its Global Future Council on Agile Governance. 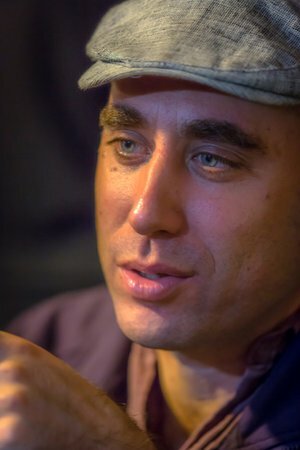 His work on culture, politics, and place-making has appeared in The Journal of Asian Studies, Annals of the American Association of Geographers, Annals of Tourism Research, Asian Anthropology, International Journal of Transitional Justice, The New York Times, the BBC Chinese, The Guardian and elsewhere. He has delivered invited talks at institutions including Stanford, Harvard, University of California Berkeley, SOAS University of London, and NYU Shanghai. He has been a Visiting Scholar at Fudan University (China) and Eberhard Karls University of Tübingen (Germany) and a postdoctoral fellow at Academia Sinica (Taiwan). His research has been supported with a Fulbright Fellowship and multiple US National Science Foundation grants. Complementing his creative and academic endeavors, Ian serves as International Meta-Regional Representative for the Burning Man Project. In this capacity, he has designed interactive art pieces, founded events, connected communities, and continues to serve in an advisory role to Project founders, directors and staff.